Vancouver is quite simply a city like no other, effortlessly combining the buzz of a modern city with the rejuvenating spirit of the great outdoors. 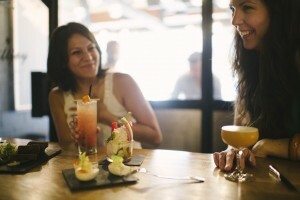 Start the day with breakfast at Granville Island Public Market and end with a sunset cocktail on a mountain-top patio. In between, paddle out on a kayaking adventure, then join the locals at a neighborhood café. It’s truly a “city of nature,” with stunning views of temperate rainforest and majestic peaks reflected on glass skyscrapers; sparkling with sophistication and energy, yet relaxed and laidback. In Vancouver, you don’t have to choose between city and nature. It’s true that Vancouver’s beauty will have you constantly reaching for your camera. But the appeal is more than just skin deep–Vancouver’s vibrant personality and relaxed lifestyle are just as enviable. Vancouverites value balance in their life: work and play, adventure and culture, health and indulgence – all are celebrated here! Whether your visit is paired with a cruise to Alaska or a train to explore the majestic Canadian Rockies, it’s easy to authentically experience the charm of Vancouver’s lifestyle firsthand. Explore the many neighborhoods of Vancouver, including the upscale Yaletown with its fantastic eateries, like Killjoy Barbers Cocktail Tavern. 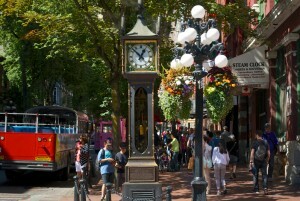 time in the city center and you’ll be surrounded by laidback locals as you discover colorful, unique downtown neighborhoods like the beachside West End area, hip Gastown, upscale Yaletown, and historic Chinatown. It’s in these neighborhoods that you’ll immerse yourself in the cultural side of the city: from dazzling gallery shows, live performances, and endless nightlife options, through to festivals that celebrate art, culture, cuisine, sports and everything in between! Sightseeing options take you from city to nature, and across air, land and sea! 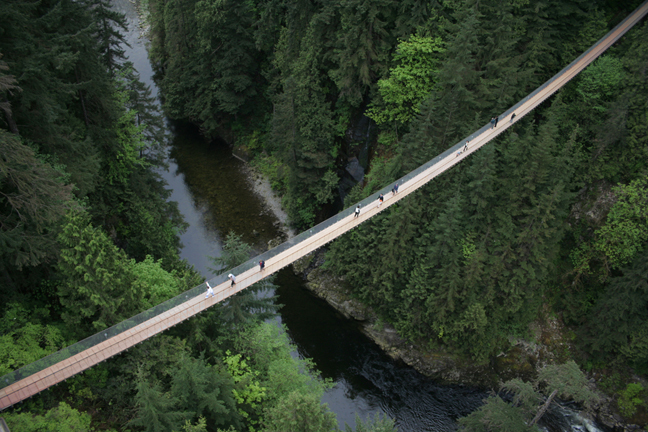 In just one day, you can take an exhilarating tour cantilevered high above temperate rainforest at Capilano Suspension Bridge; visit the city’s newest downtown attraction, FlyOver Canada, a breathtaking flight simulation ride like no other; and end with Sea Vancouver’s ocean-going adventure, cruising the water surrounding downtown. In Vancouver, nature is ever present: mountains, just 20 minutes from downtown, loom over the city; and the fresh scent of the forest is in every breath. Ease into nature, just steps from your hotel, with a leisurely cycle around Stanley Park’s seawall or a walk through urban rainforest. 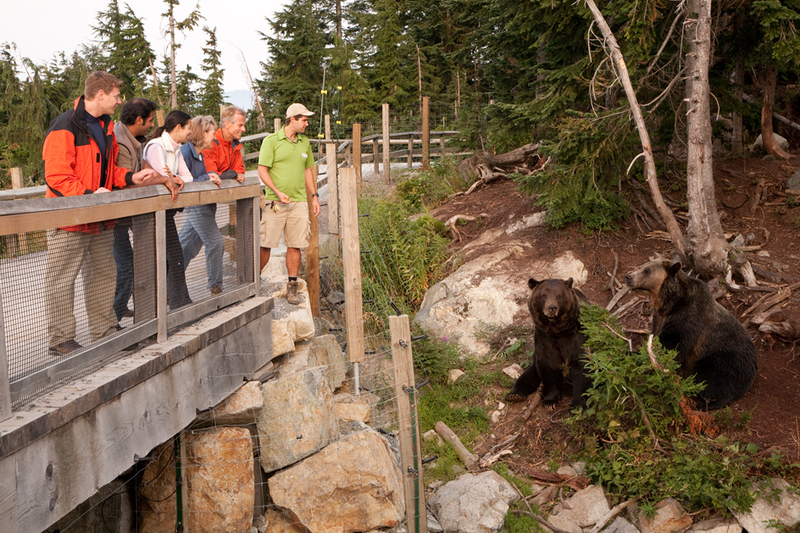 Get to know the region’s wilder inhabitants with a whale watching excursion, or visit Grouse Mountain’s Refuge for Endangered Wildlife to see the resident grizzly bears, Grinder and Coola. Kayaking along the shoreline and beaches, and hiking the local mountains are experiences not to be missed. Looking to quicken your pulse? All of this and you’re still in the city! Known for a thriving dining scene, Vancouver’s chefs use the best of what’s in season and fresh from the ocean, combining them with traditional techniques and multicultural influence to delicious effect. Along with internationally-acclaimed wines from British Columbia’s Okanagan Valley, the city has undergone an explosion of craft breweries and spirit distilleries. Make sure you try them for a unique taste of the city! With a vibrant cocktail scene and nightlife options to suit all tastes, the evening doesn’t have to end after dinner. A wide range of culinary walking and cycling tours take you to some of the city’s tastiest neighborhoods and markets, giving you an insider’s glimpse into hot spots, cultural history, favorite purveyors and current trends. For the ultimate combination of cuisine and sightseeing, try a floatplane “fly and dine” tour: soaring over skyscrapers, mountains, fjords and ocean before landing on the water to savor an oceanfront seafood dinner. With everything from artisan markets to international designers, Vancouver is sure to please even the most ardent shopper. Browse the offerings on your own, or take a guided shopping adventure. 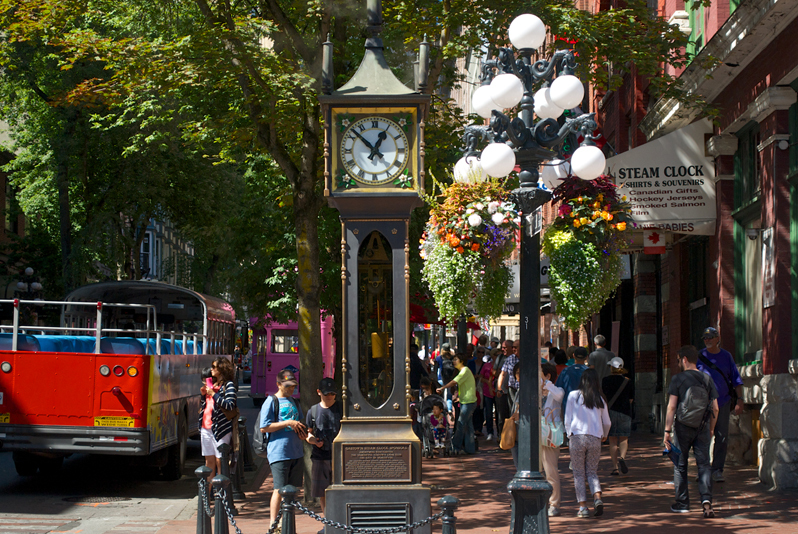 Downtown’s Robson and Alberni streets offer well-known brands and high-end boutiques, while Gastown is home to some of the city’s hippest new ateliers and galleries. Just over the bridge from downtown, South Granville brings together art and high-end fashion. Grab culinary souvenirs among the locals on Granville Island or explore another of Vancouver’s friendly and unique neighborhoods: Yaletown with its interior décor stores and patio-lined streets, Kitsilano for wholesome yoga-inspired outlets, and Main Street where independent and vintage shops reside. 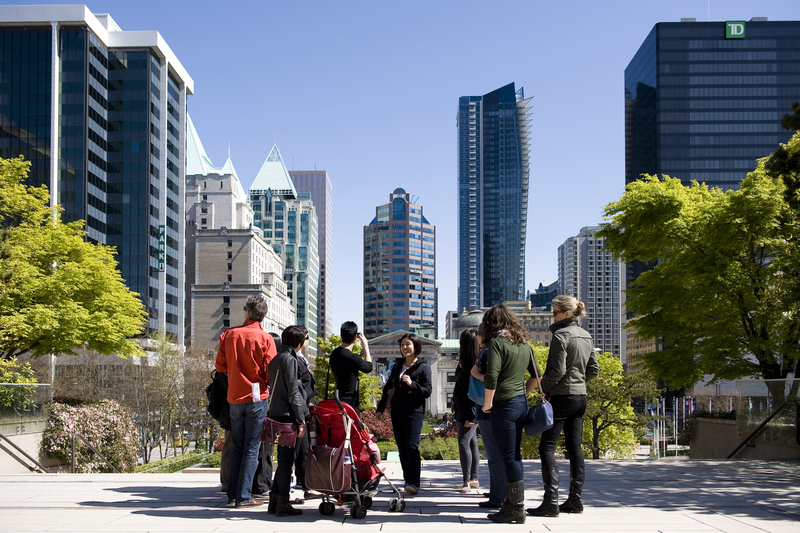 Get up close and personal with the Vancouver streets and culture with a walking tour. Being environmentally-aware comes naturally to Vancouverites: if you love the outdoors as much as the locals, you understand the need to protect it. As the city that founded Greenpeace and is home to renowned environmentalist Dr. David Suzuki, the City of Vancouver has pledged to become the world’s greenest city by 2020. 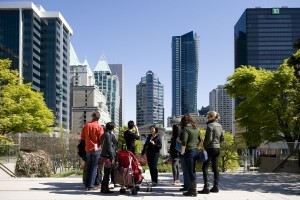 You’ll find sustainable practices enveloped into all facets of a visit to Vancouver. From the highly-accessible transit system and a compact, walkable downtown; through to sustainable restaurant choices, and hotel policies, this is a city that takes protecting the environment seriously. There’s so much to do and see in Vancouver, so make sure that you take time to soak in a little of the city’s unique ambiance. Grab a coffee and hit the beach, or enjoy a glass of wine on a sunny patio. Admire the view, let the sun hit your face, and take it all in. It’s right here that you’ll understand why this city is regularly ranked as one of the most liveable places in the world. Vancouver is an easy place to visit, but it’s much harder to leave. Have a bit more time to discover British Columbia? Vancouver is the perfect launch pad to explore other regions of the province. 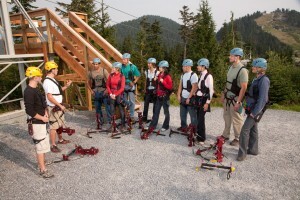 Just a short drive north up the Sea to Sky highway, you’ll find unparalleled outdoor adventure activities on your way up to the world-class mountain resort of Whistler Blackcomb. Or hop on a ferry or board a floatplane for a scenic journey over to Vancouver Island; visit the charming provincial capital, Victoria, or head up-island for tranquil beaches, wildlife watching and secluded resorts. Ready to book your Vancouver exploration? Contact your local travel and request a GOGO Vacations‘ package now.